This is Plainsman Polar Ice. Fired at cone 6 (2200F) with a transparent glaze on the inside and G2934Y yellow silky matte on the outside. 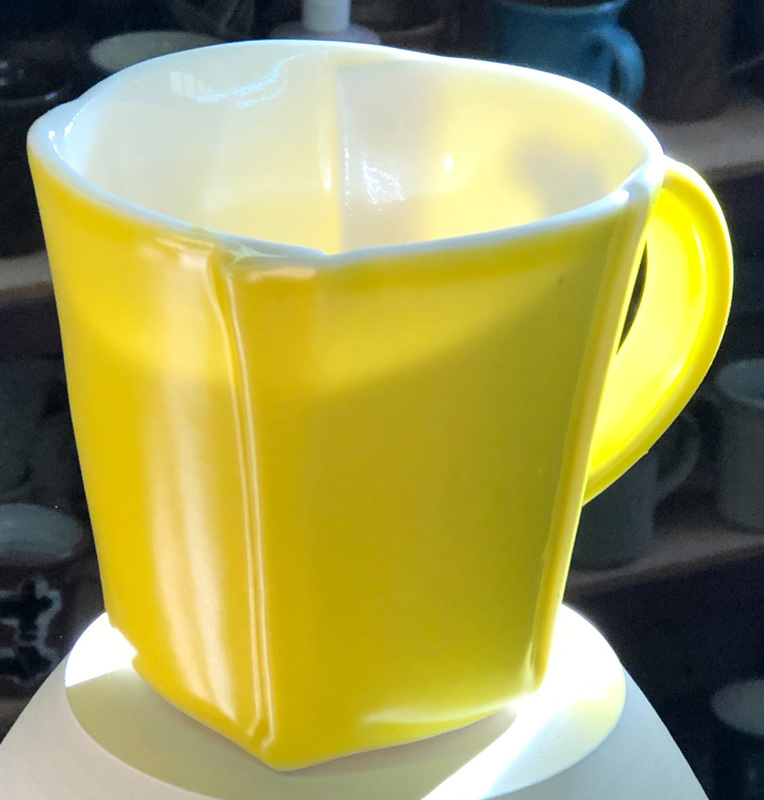 This yellow glaze showcases the translucency better than any other we have seen.